Welcome to the Grants and Federal Programs page. 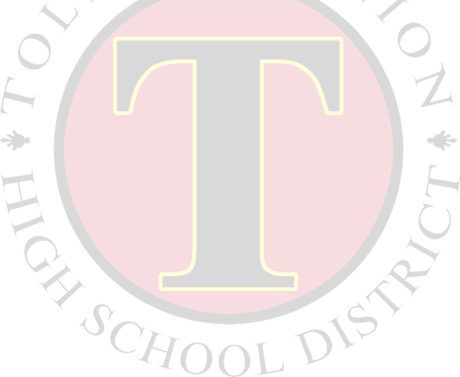 Our department’s goal is to support Tolleson Union High School District’s mission…“to guarantee higher levels of learning for all students.” The department achieves this goal by managing the district’s discretionary state and federal program entitlement grants. The district welcomes potential partnerships with community entities in seeking discretionary grant opportunities that align with the district’s mission and purpose. 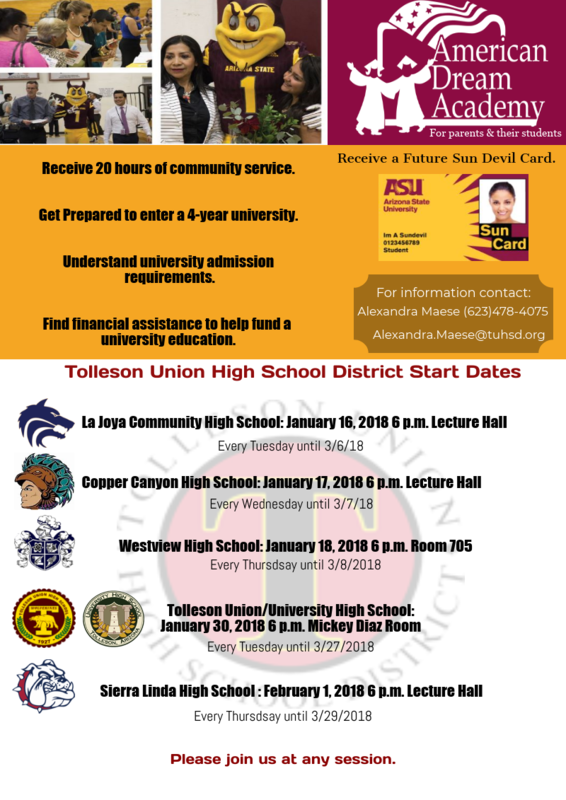 Tolleson Union High School District start dates for the American Dream Academy are beginning in March. These sessions will help prepare students to enter a four-year university. Please contact Alexandra Maese at (623) 478.4075 for additional information. You will also want to review our American Dream Academy flyer (español) for the information on each session at each location. April 11, 2019 - Title VI FY 20 Grant Application Meeting Agenda - 5:00 p.m.
April 11, 2019 - JOM FY 20 Grant Application Meeting Agenda - 5:20 p.m.
April 11, 2019 - JOM Parent Committee Meeting Agenda - 5:45 p.m.
April 11, 2019 - Title VI Meeting Agenda - 5:50 p.m.
January 24, 2019 - JOM Parent Committee Meeting Agenda - 5:00 p.m.
January 24, 2019 - Title VI Meeting Agenda - 5:45 p.m.
January 24, 2019 - Title VI Meeting Agenda - 6:00 p.m.
January 24, 2019 JOM Parent Committee Meeting Agenda - 6:30 p.m.